According to certain religious beliefs, the human race will face (or is already facing) an apocalypse, a time of utter turmoil and destruction which will decide our fate as a species; a complete and final destruction of the world. For me, the apocalypse happens every year between the months of eh, November to March in which we experience what some would like to call, “winter”. Dry skin, crummy moods, food cravings, increased hunger, and a general feeling of being trapped in a freezer for 5 months. You’d think that after 17 years of living in New England I would have either: 1) Acclimated by now 2) Moved to a warmer climate or 3) Learn to thrive. Well, I’ve felt like I’ve done #1, am always contemplating #2, and now finally settling into #3. It’s taken some time and a decent amount of trial and error to devise a strategy for myself to not feel like I’m holding my breath waiting for the weather to get warmer, but actually (somewhat) thriving in the winter. I’ll be the first to admit how challenging winter is on my beach-and-sun-loving body, and will also be the first to encourage you to be even more loving and compassionate on yourself when the weather is cold. 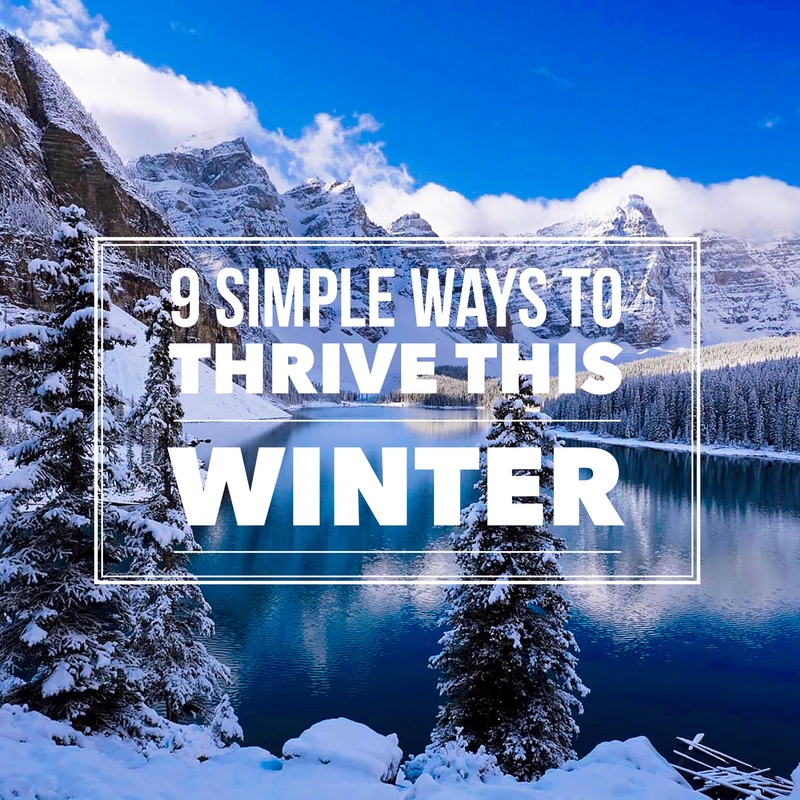 Knowing that winter is generally tougher on the body, I encourage my clients to be even more gentle, and to use this time to hibernate to a degree and to down-shift more into MAINTENANCE mode with any sort of fitness or weight loss goals. Bottom line folks, losing weight is easier during the spring/summer than it is in the winter. With that in mind, there are certain tools (both nutritional and hormonal) that I use to help my highly sensitive system for the 4-5 months of cold weather we have here. These are also tools that I arm my personal VIP coaching clients with as well, and I want to share them with you today. Obvi the sun isn’t out as much in the winter as it is in the summer, which, goes without saying, why we don’t get as much sun exposure, both from having shorter days and from not spending as much time outdoors. 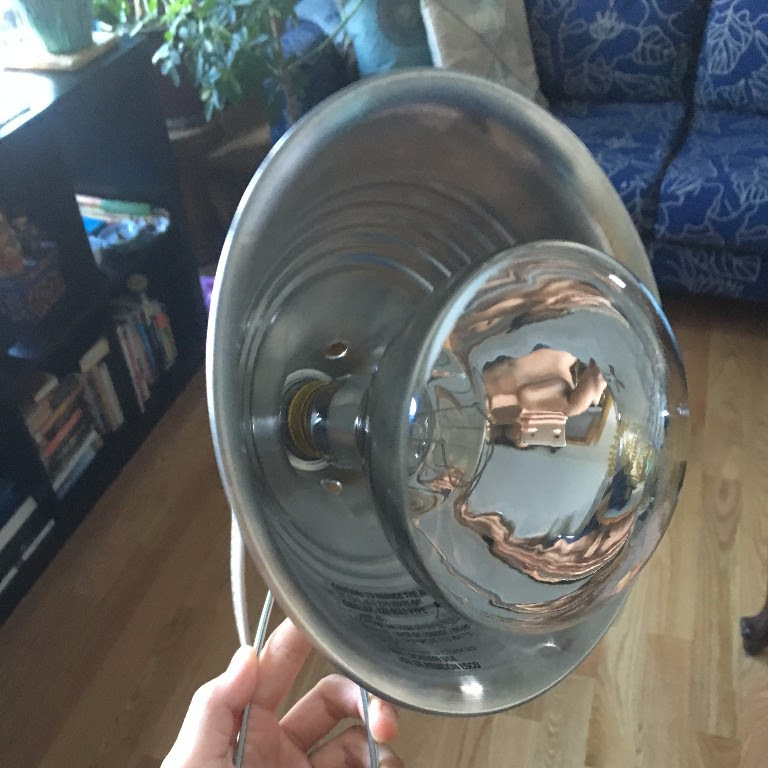 I’ve used a homemade sun lamp made with a 250 watt bulb for the last 3 years, and it seems to improve my moods. I have used SAD lamps in the past, but there’s something about the warm glow from the 250 watt bulb that just feels better to me. Bright light stimulates your cells to make MORE energy, and in the winter with less exposure to bright light, this is a GOOD thing. Think of it as a little energy boost to your cells – when your cells are working more efficiently, your cells are able to breathe which helps to improve your metabolism which naturally increases your body temperature, which keeps you warmer. Here’s the tutorial I used to make mine. Another reason why we generally feel crummier in the winter comes from receiving less Vitamin D, a fat-soluble vitamin and a by-product of sun exposure. 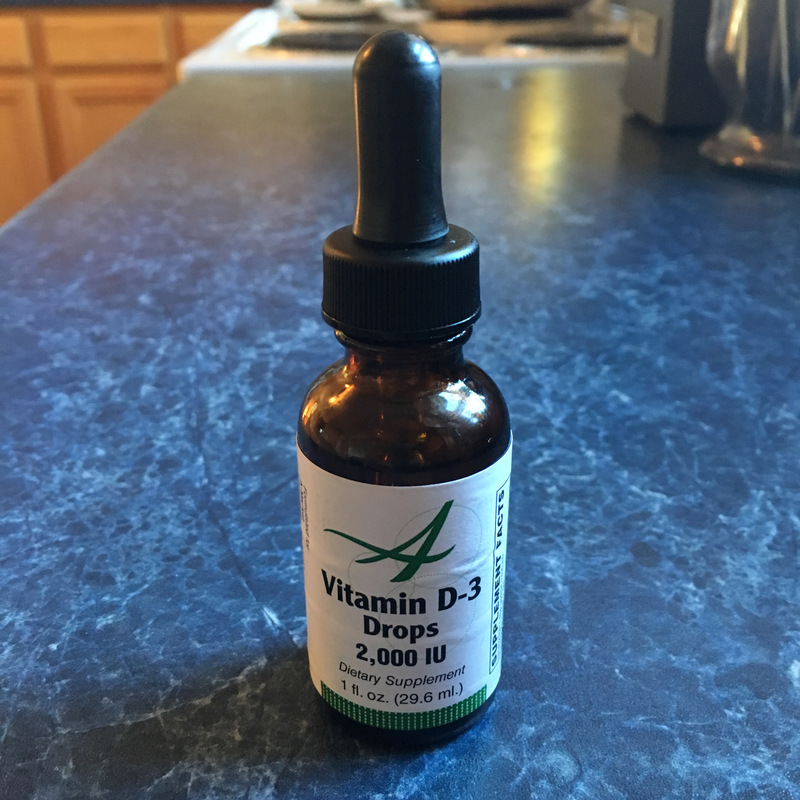 I am always a proponent of using your food for your nutritional needs and so there are very few supplements I recommend with the exception of a handful, like Vitamin D3. Since sunlight is the best way to get our Vitamin D, it’s no wonder that in the winter many people are deficient in it, which can contribute to the winter blues – feeling tired and like poop most of the time. My recommendation: Vitamin D3 droplets. Not plain ol’ vitamin D capsules. Look specifically for D3, in droplets. Most health food stores will carry this in their vitamin aisle. Progesterone, along with estrogen, is commonly referred to as a “female” hormone, though both are found in all humans, men and women and everything in between. From my experience, many female clients may show signs pointing to some sort of hormonal imbalance, like PMS. And from what I’ve seen, it’s typically a dominance of estrogen coupled with low progesterone, more commonly referred to as “estrogen dominance”. Without going into too many details about the hormonal cycle, progesterone is at it’s highest during the 2nd half of a woman’s cycle, the half after ovulation. Since progesterone helps to support the growth of a fetus, it is known as being a pro-gestation hormone. I personally take a progesterone supplement during the second half of my cycle, starting on day 14 until the first day I bleed. I’ve found that it helps my moods, drastically reduces any PMS, keeps me leaner, and helps to clear my skin. I use a progesterone oil that I rub on the inside of my gums and lip since the skin here is very thin which makes absorption quick and effective. Here is where I purchase my Progesterone. Along with Vitamin D3, magnesium is another nutrient that many are deficient in mainly because our food supply has generally less magnesium than our grandparents time, largely due to industrialized farming practices which have stripped our soil of many essential nutrients. Epsom Salt is magnesium sulfate, and is absorbed through the skin when you prepare it in a bath. During the winter I can easily take 2-3 epsom salt baths a week. I recommend starting slowly with once per week for about 20 minutes, and to keep a small glass of orange juice with you as your blood sugar levels can drop because of the rush of magnesium in your system. Here’s a PDF download for you with instructions to prepare a warming and healing epsom salt bath tonight. I’m not an Ayurvedic expert, but from what I do know, I am a Pitta-Kapha. 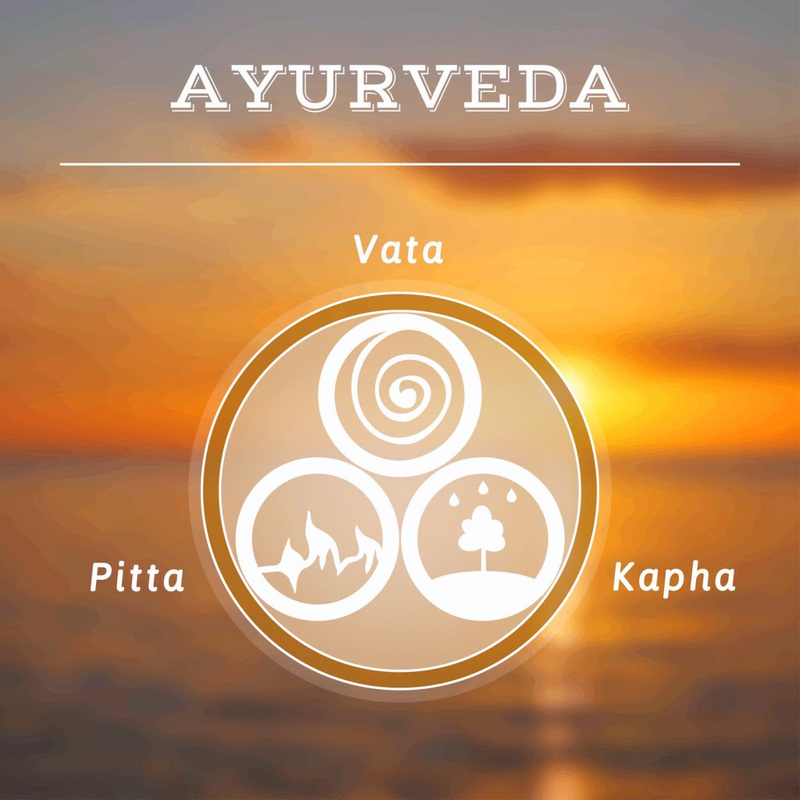 In Ayurvedic healing, there are 3 main doshas in which we have 1 or 2 that dominate our system. Each dosha is a combination of the five elements – air, space, water, fire, and earth. Our doshas can fluctuate over time and with the weather and the change of the seasons. In the winter, my body tends to slow down, which pushes me towards more of a kapha expression, which means I do better with warming foods and spices, like cinnamon, soups, broths and stews when the temperatures drop. Like I said, I’m no Ayurvedic expert. FAR FROM IT. However, if you’re interested learning more, here’s a good resource from the Chopra Center that I refer to quite often. 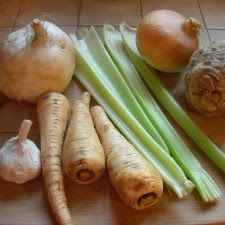 I’ve written a whole blog about the benefits of bone broth, well, specifically the benefits of gelatin which is found in bone broth. You can read about the benefits of collagen/gelatin here. And get a recipe for bone broth here. Filled with anti-inflammatory nutrients and vital amino acids (like proline and glycine), it’s an excellent food source to add to your diet, especially as the temperatures drop. I prefer my own homemade broth using a variety of beef marrow bones by making a giant batch in a crockpot and allowing it to simmer for 24 hours. I then freeze half of it in ice cube trays to make it easier for future use. I like to vary the spices from time to time to keep things interesting. I’m not exaggerating when I say that I have this basically every single morning. If you notice there’s a trend here of eating warming foods. And my personal, Healing Hot Chocolate, is one of my staples. Keep in mind: Collagen powder will dissolve in cold water which makes it ideal for smoothies. Gelatin, however, thickens when added to liquid, which makes it excellent for homemade marshmallows and gummy snacks. The recipe just tastes sooo ‘effing yummy, especially on a cold winter’s morning. Pour it in your travel mug for your next commute or meeting. Everyone in the office will be jelly. 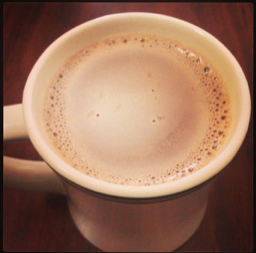 You can download the recipe for Healing Hot Chocolate here. Oregano oil has been used in naturopathic medicine as an anti-viral, anti-bacterial, and anti-fungal, as far back as ancient Greece. It was actually prescribed by both my naturopathic doctor for some digestive issues, and by my dentist as a preventive measure to infection after I had a major dental surgery 4 years ago – I had all my mercury removed and a dental implant put in. 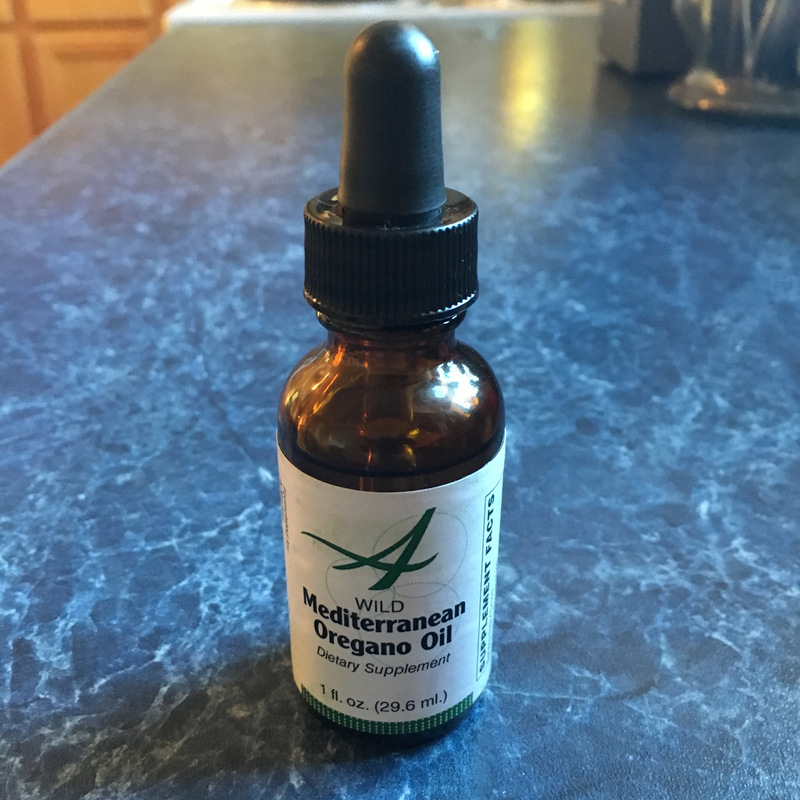 My body felt so good when I was taking the supplements post-surgery that I researched oregano oil further and have found it super helpful to preventing colds. Of course, this is largely based on my own personal experience. Along with Oregano oil, I will also use Olive Leaf extract as a powerful 1-2 punch. I haven’t gotten sick in almost a year, and I attribute my regular supplementation of Oregano Oil and Olive Leaf extract, as part of the reason. You can find both Oregano Oil and Olive Leaf extract at most health food stores like WholeFoods. It goes without saying that our skin takes a beating during the winter months. Along with drinking plenty of water during the day and using a humidifier at night, having the right moisturizer for your skin, also helps. For me, I find that coconut oil works well for me in the summer – which makes sense given that Ayurvedic healing considers coconut oil to have a cooling effect on the body. However, I do find that I need a lighter oil in the winter as my body tends to lean more towards a kapha dosha. (Kapha’s tend to get sluggish and bogged down internally, so it would make sense to need a lighter oil.) In the winter, I’ve found that apricot and ku-kui nut oils work really well. Other natural oils you can use are jo-jo-ba, avocado, and almond oil. 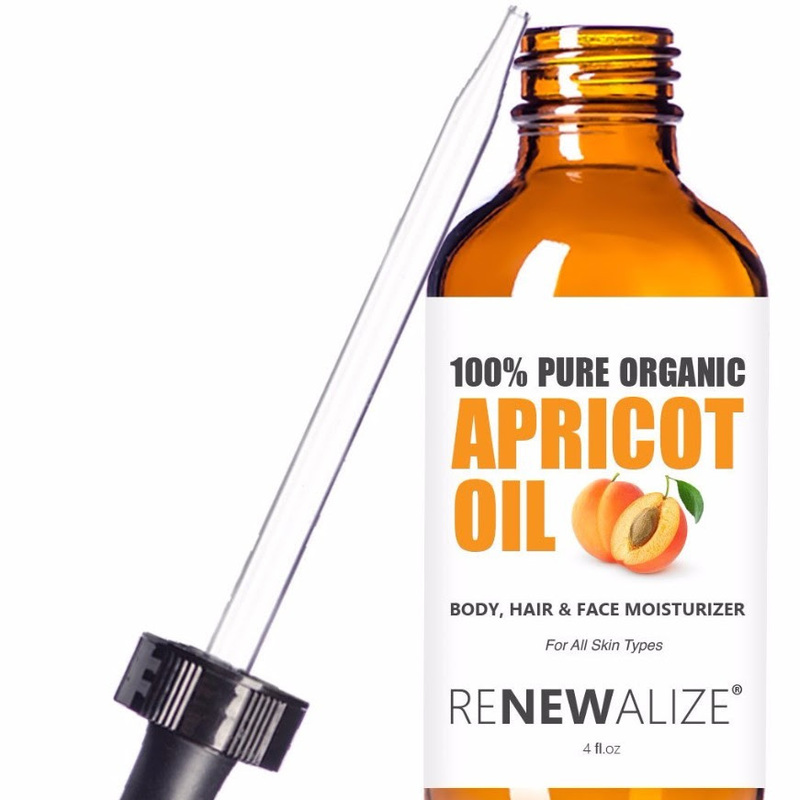 Here is a of apricot and kukui oil brand I personally use. One of my all time favorite body love rituals is to stand in front of a mirror and slowly and liberally rub the oil on my body starting with each of my toes and working my way all the way up to my scalp. Soft and affectionate touch has not only been shown to reduce stress, it’s also a beautiful and soulful way to connect and show appreciation for your body. I hope you found this information useful and perhaps, motivating for you to research and experiment with some of these ideas. In the meantime, if you have any questions, or are interested in chatting with me one on one, you can set up a free Strategy Session to share your fitness journey with an open-hearted and empathic coach.